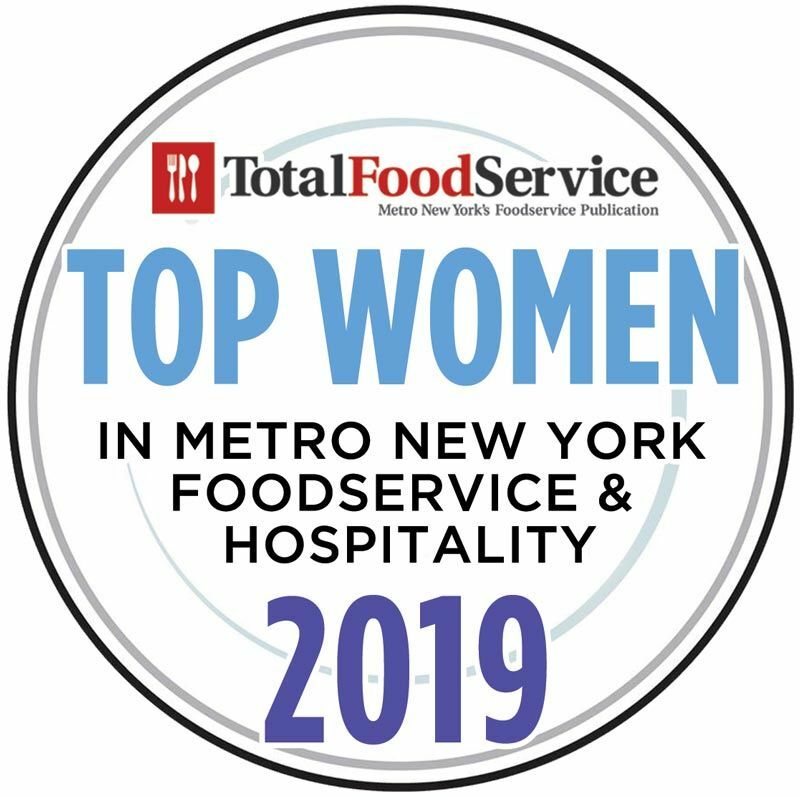 New York, NY (Restaurant News Release) Total Food Service is honored to announce the 2019 Top Women in Metro New York Foodservice & Hospitality, presented by Women’s Foodservice Forum. “We owe special thanks to a number of colleagues that represent many segments of the Tri-State foodservice community. They were gracious with their time to help us build this list of the ‘best and the brightest’ women in our industry,” said Total Food Service publisher Fred Klashman. The December issue of the magazine is dedicated to profiling the impact that women have had on the Tri-State foodservice scene and to highlight that they have risen to amazing heights and have turned the Greater NYC Marketplace into the epicenter of the world’s restaurant and foodservice industry. The categories include Associations, Catering, Chefs, Clubs, Corporate Dining, Education, Healthcare, Hotels, Media/PR, Restaurants, Vendor-Equipment & Supply, Vendor-Food & Beverage, and Vendor-Services. The list identifies innovators within each of those major disciplines of the foodservice and hospitality industry. “Our goal is to share some of their amazing stories and to make all of us realize that any goal is accomplishable with a measure of hard work and some good luck sprinkled in,” said Total Food Service publisher Leslie Klashman. Since 1990, Total Food Service(TFS) has served the Metro New York foodservice industry, including restaurant operators, chefs, dealers, consultants, and suppliers. Each month, TFS delivers the latest news, insights, and interviews. TFS monthly print and digital issue focus exclusively on the world’s largest food service and hospitality capital of the world, Metro New York. TFS website is updated daily with other national foodservice storylines and includes online resources including a comprehensive national Food Distributors page. WFF is the Food Industry’s thought leader on women’s advancement and gender equity. WFF provides research, insights and best practice solutions that enable food companies to address the pressing need for talent, gain better consumer insights and drive business growth by realizing the full potential of women leaders. WFF’s annual conference is a highlight of the foodservice industry’s calendar and is slated for March 10th-13th in Dallas, TX.